Amy Medling is a Certified PCOS Health Coach who has helped thousands of women overcome their PCOS symptoms and restore their fertility naturally through the programs she has developed. After receiving her own diagnosis of PCOS she embarked on her own journey to health by doing her own research and trying many different approaches. She was able to heal herself and regain her fertility naturally and that inspired her to do the same for other women also struggling with PCOS symptoms. 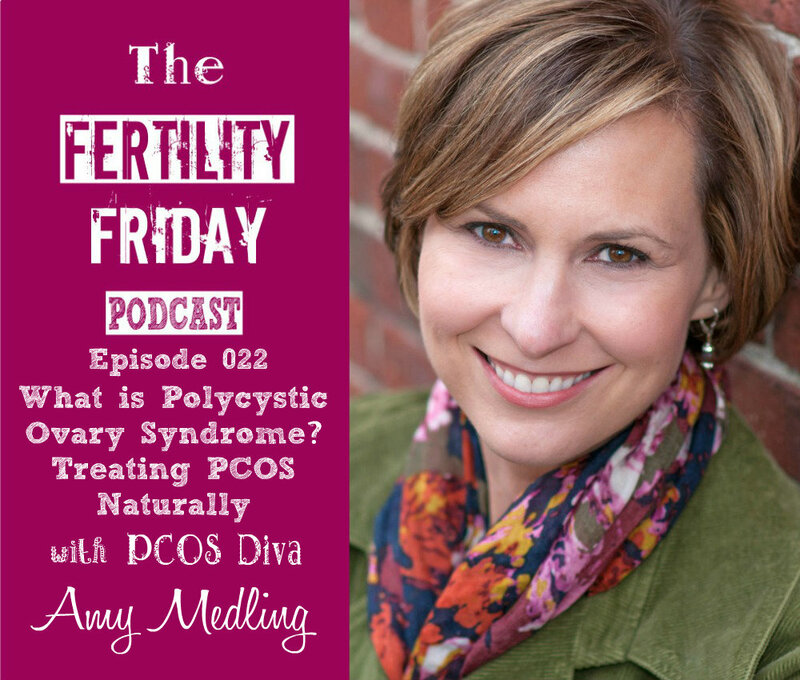 In today’s show, Amy and I talk about Polycystic Ovary Syndrome (PCOS) in detail. We talk about what it is, what symptoms are required for an “official diagnosis”, and what are some of the most common but less known symptoms of PCOS. We discuss why many women may have PCOS symptoms but don’t necessarily make the connection to a PCOS diagnosis. Amy discusses in detail what tests you should be requesting from your doctor if you think you may have PCOS, and we talk about how fertility awareness cycle charting can help you identify it early. Amy also talks about what steps you can take to heal your PCOS naturally. If you’ve ever had questions about PCOS you’ll learn a lot from this episode! What are the common symptoms of PCOS? And why might women have symptoms but not be aware that they have PCOS? What are the specific tests that you should be asking your doctor or health practitioner to run to confirm a PCOS diagnosis? You can connect with Amy on her website, and on Facebook, Pinterest and Twitter! Ladies: This was a fabulous podcast. I appreciate Amy’s generosity with sharing her knowledge. Thank you Maria! I’m so glad you enjoyed the show. I had such a great time doing the interview with Amy. So informative!